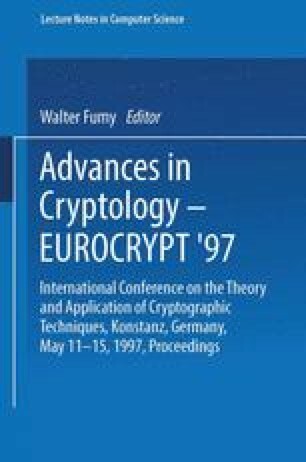 NTRU is a new public key cryptosystem proposed at Crypto 96 by Hoffstein, Pipher and Silverman from the Mathematics department of Brown University. It attracted considerable attention, and is being advertised over the Internet by NTRU Cryptosystems. Its security is based on the difficulty of analyzing the result of polynomial arithmetic modulo two unrelated moduli, and its correctness is based on clustering properties of the sums of random variables. In this paper, we apply new lattice basis reduction techniques to cryptanalyze the scheme, to discover either the original secret key, or an alternative secret key which is equally useful in decoding the ciphertexts.